Let us introduce the first ever Housing First Europe Hub’s Research Digest! You can now sit back and enjoy. The Hub’s Research Work Cluster will digest a selection of three to five papers on Housing First for you every four months. We want to showcase new and relevant research on HF in Europe and elsewhere (with a critical eye, of course!!). Each edition of the Research Digest will be curated by a HF Hub member, therefore presenting personal research interests and views of HF experts across Europe. The Hub is a group of organisations, public authorities and foundations working to scale up Housing First in Europe. The Hub organizes training on Housing First, conducts and publishes research, and produces tools for practitioners and policy makers to understand, explain and deliver Housing First. The resources on this website are available to everyone. More information about our training, research and other programmes will be made available over the next months. Click on the links to find out more about the Hub Partners, as well as about Housing First in your country or city. Watch this video to learn more about Housing First, and in particular, Housing First in Europe. 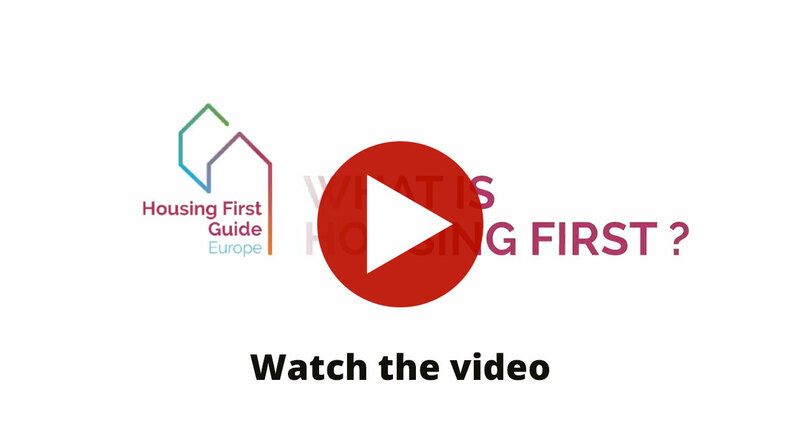 Produced as part of a series of videos to accompany the Housing First Europe Guide in 2016, this video is also available with subtitles in French, Spanish, Dutch, Hungarian and Italian. A handbook published by the Y-Foundation on the Finnish Housing First principle for your use. Is there Housing First in your country? Click on the links for the latest research, examples of projects, training opportunities, news and other resources across Europe. The Hub was established by the Y-Foundation (Finland) and FEANTSA (European Federation of National Organisations Working with Homeless People), along with more than 15 partners in July 2016. Click on the Partners to learn more about their work on Housing First.